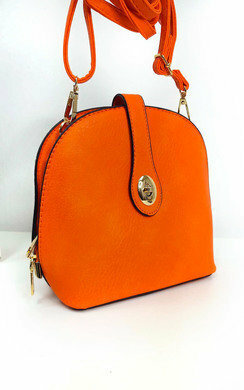 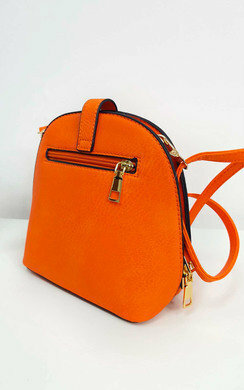 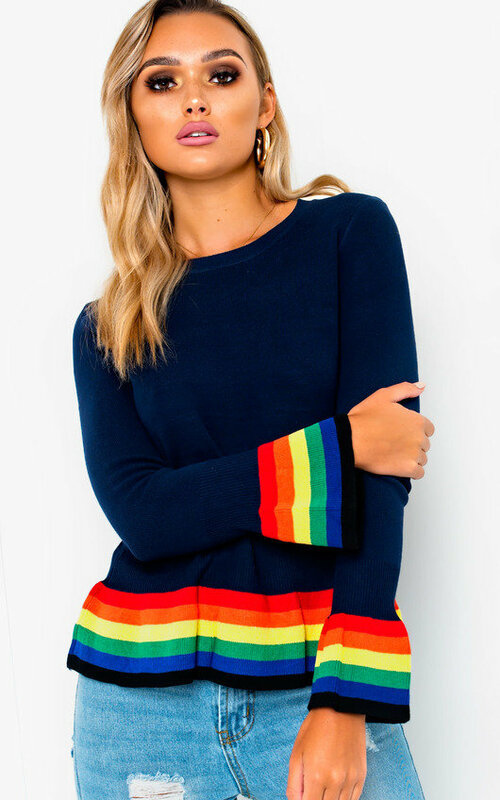 We all about the rainbow colours this season! 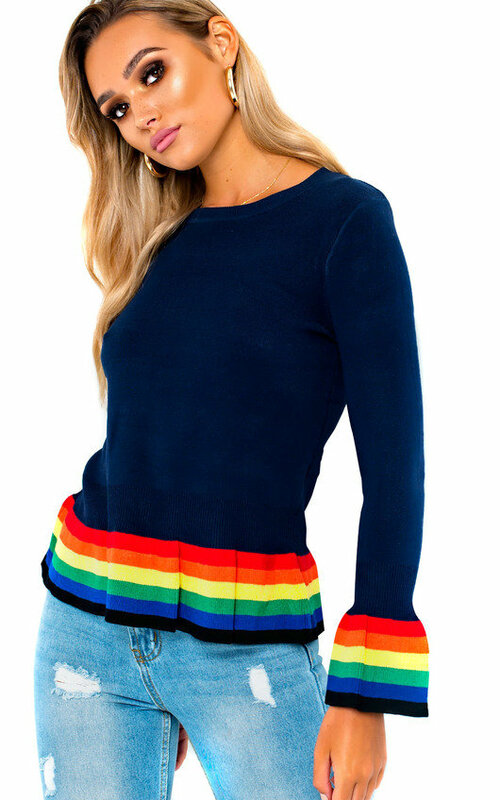 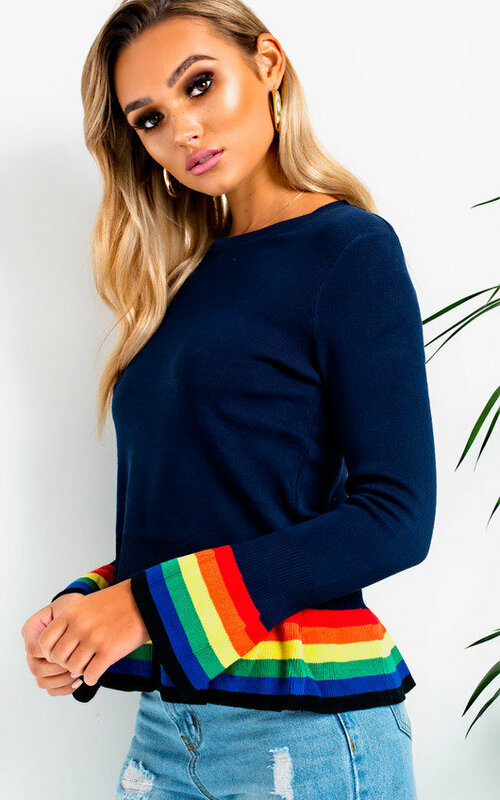 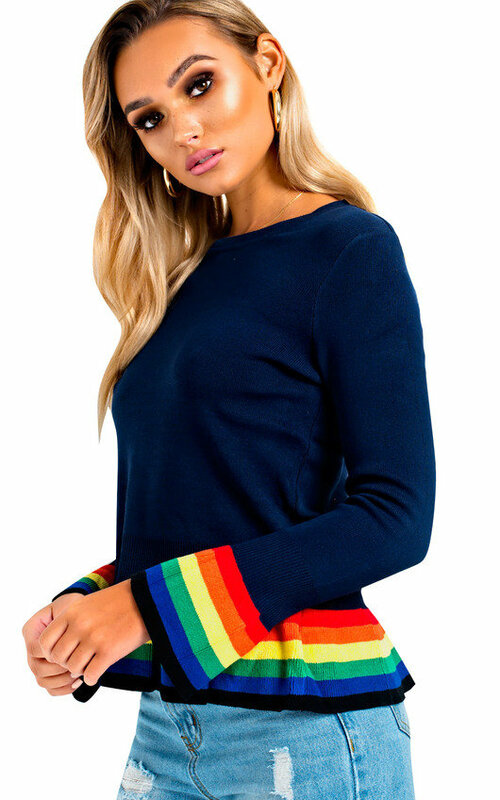 This amazing jumper features a rainbow cuff and hem detail and frill edge. 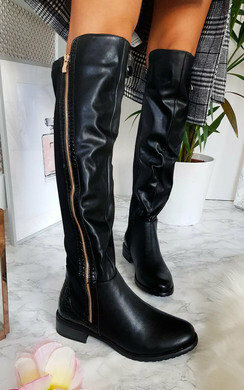 Team with cute lil ankle boots for a BAB'IN look!